You can make a cheese sauce from scratch, using real cheese and real milk, in a few short minutes. As an entree or as a side, vegetables in this cheese sauce are a win at our house. 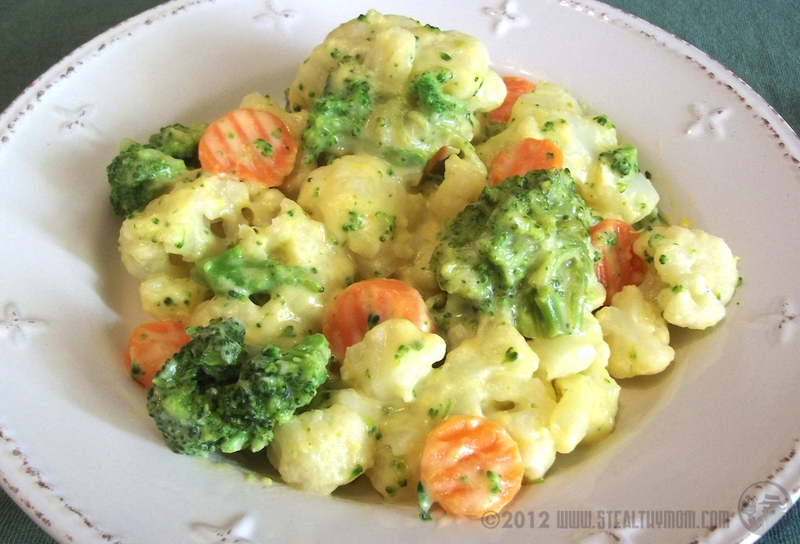 Either in the microwave or on the stove, start cooking the frozen vegetables. Add the butter to a sauce pot. Once it melts, stir in the flour. As soon as the flour is browned a bit in the butter, add the milk. Bring it all to a slow boil, stirring constantly. Within a few minutes the sauce should thicken. Add the grated cheese and stir until it melts. Stir the cooked vegetables into the sauce. Or, for a different presentation, place the vegetables in a dish and pour the cheese sauce over top.